Glitter up your life! 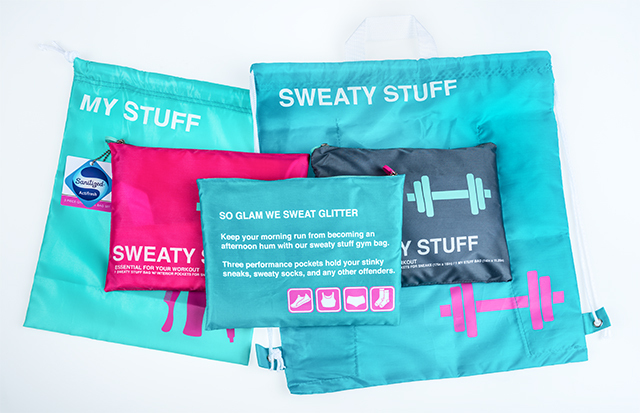 This 3 piece gym travel bag set cleverly separates the sweaty stuff from the rest in your luggage or gym bag. The Sanitized® hygiene function in the bag’s material hinders the development of nasty odors and bacteria growth. These are a life saver for an active lifestyle or travel addict!